It’s official: Back-to-school shopping is a go! Target has already put out their teacher goodies; therefore, it’s time to start thinking about my classroom. You can see my past classroom here. This is my 7th classroom set up, and I have most of the supplies I need. 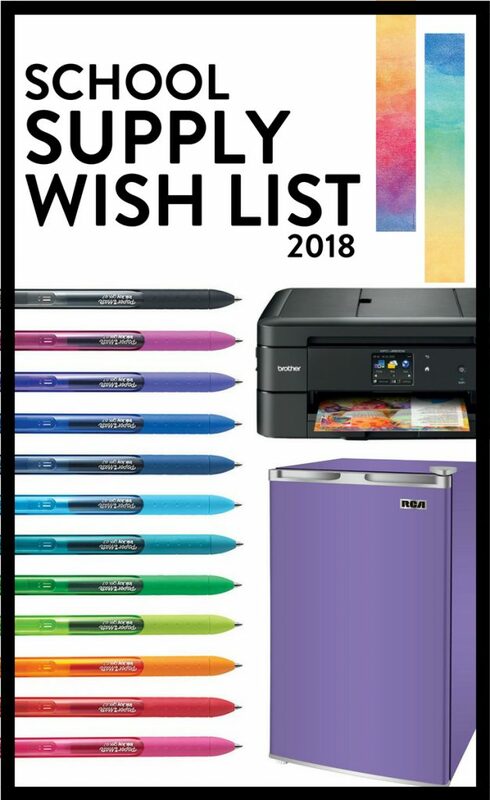 Sure, I will need to restock dry erase markers and pencils, but for the most part, there are only a few more classroom supplies I would like to add to my collection. If you are teaching math, then I would recommend these 20 Must Have Math Supplies and if you are just starting in your teaching career, then here are my Most Essential Classroom Supplies. 1. 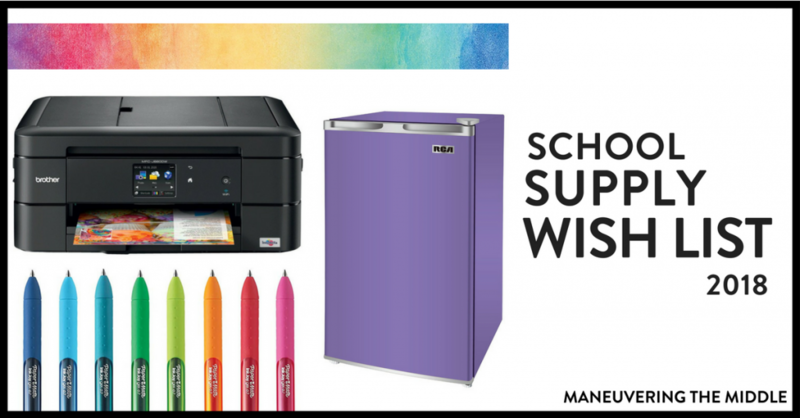 Mini-Fridge in Purple– This is the year that I get a mini-fridge in my classroom! Walking to the staff fridge takes time (and time is so precious in the morning before students arrive or during your lunch break), and I need a place to store my breast milk. I know that I will forget it at school if it is out of sight in the teacher’s lounge. Any other teachers pumping out there? I would love to hear any tips if you have them. 2. New Bulletin Board Borders– I have been using the same borders for two years. They have seen better days; this is the year that I will laminate my borders! I usually get so excited to start putting my room together that I skip this step and have to replace them, and the cycle continues. 3. InkJoy Pens– Can we talk about these pens for a second? They are hands-down my favorite. To make the pack last longer, I wrap the end in washi tape (to save them from wandering off with other people) and only use two colors at a time – a dark colored pen and a bright colored pen. I put the rest of the pens out of sight, and replace the two I am using as needed. 4. Printer– This is quite an extravagant purchase, but hear me out! So often, I send something to the workroom printer only for me to walk all the way down the hall and find out that it didn’t print or someone has a huge copy job going, and I have to wait for my one piece of paper to come through. I’ve resisted purchasing my own classroom printer for six years, and I think it would have paid for itself in saved time by now. There it is! What classroom supplies are you splurging on this year for your classroom? Have you already started brainstorming for next year like me?